EAST BURKE, VT (APRIL 10, 2019) – On June 22nd the Burke Mountain Club in East Burke will celebrate its 100th birthday. The celebration honors founder Elmer A. Darling who built the Club as both a library and social gathering place for his beloved community. The celebration will take place at the Club at 368 VT RT 114 in East Burke from 10 am – 4 pm. The community is invited for this free event that includes: live music, square dancing, old fashioned games, kids’ activities, craft demonstrations, a display of Darling’s personal belongings and cake and ice cream. The White Schoolhouse Museum on the grounds will provide a glimpse into life in the community 200 years ago. The schoolhouse was preserved and moved from its original location by Mr. Darling in 1923 and served as the Burke Historical Society. Elmer A. Darling was raised in East Burke, received his college education at MIT and made his fortune as part owner of America’s famous Fifth Avenue Hotel in New York City. He purchased a dairy farm in 1883 and gradually increased his holdings by buying all of the farms along the ridge south of his first purchase – now known as Darling Ridge. Milk from the purebred Jersey cows was processed at a central creamery and much of the dairy products (including 70 pounds of cheese per day) were shipped to the Fifth Avenue Hotel, serving dignitaries and socialites of the era staying at the prestigious hotel. 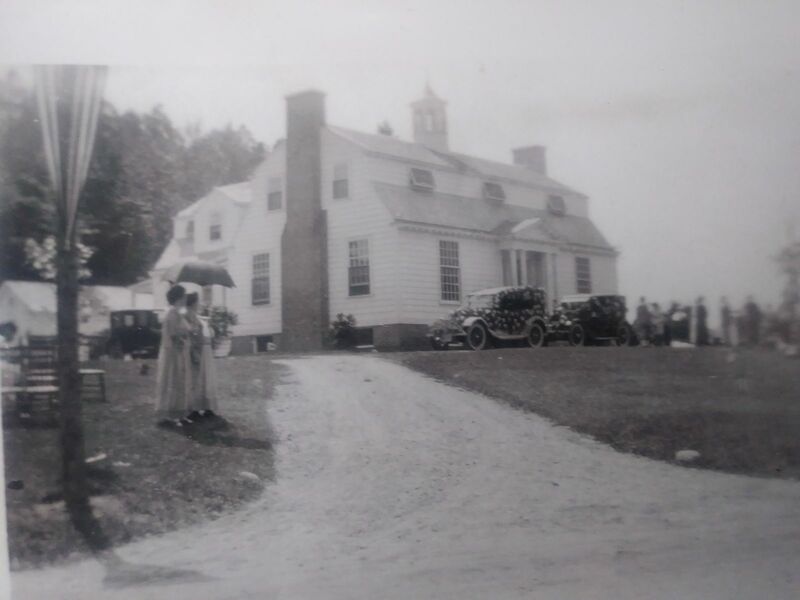 Darling, who trained as an architect, personally oversaw the design of his 35-room mansion called Burklyn Hall because it straddled the Burke-Lyndon town line. Construction was completed in 1908 and Darling split his time between New York City and Burke. He introduced the advancements of the day, including an electrical and a water system to rural East Burke, and in 1919, when he was 71, he built the Burke Mountain Club as a gift to the community. He also served the greater community as president of the Lyndonville Savings Bank and president of the Board of Trustees of the Lyndon Institute. Nationally, he was an early breeder of both Morgan horses and Jersey cows, and was president of both the Morgan Horse Society and the American Jersey Cattle Association. For updated information on the June 22nd event check the Facebook page for Burke Mountain Club and listings on both the East Burke and Northeast Kingdom Chambers event pages on their websites at www.burkevermont.com and www.nekchamber.com .